* This event not included in our subscription. April 26, 2019, 1/8 (2) finals. 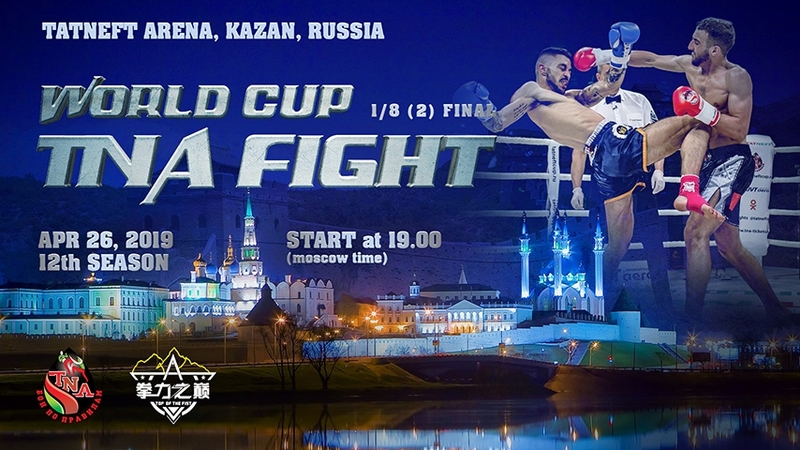 Joint tournament World Cup "Fight THA" and "WKF Global Boxing Championships"
The preliminary composition of the participants of the joint China tournament "WKF Global Boxing Championships" - World Cup "Fight TNA" for the Tatneft Cup on April 26, 2019 1/8 (2) final. This is the first international joint project of the two most famous fighting leagues, Russia and China. The tournament will meet the strongest representatives of their countries, Europe and the World. In total, there will be 8 fights. Chinese athletes, 7 people. 5 athletes participate in the main draw of the tournament and 2 athletes will take part in prestige battles in weight categories up to 60 and 65 kilograms. Chinese athletes are China's multiple winners in Kung Fu, Sanda, Muaythai and Boxing. They represent the Qinghai Boxing Association and the WKF Global Boxing Championships. They will be confronted by athletes from Malta, Russia, Belarus, France, Albania.